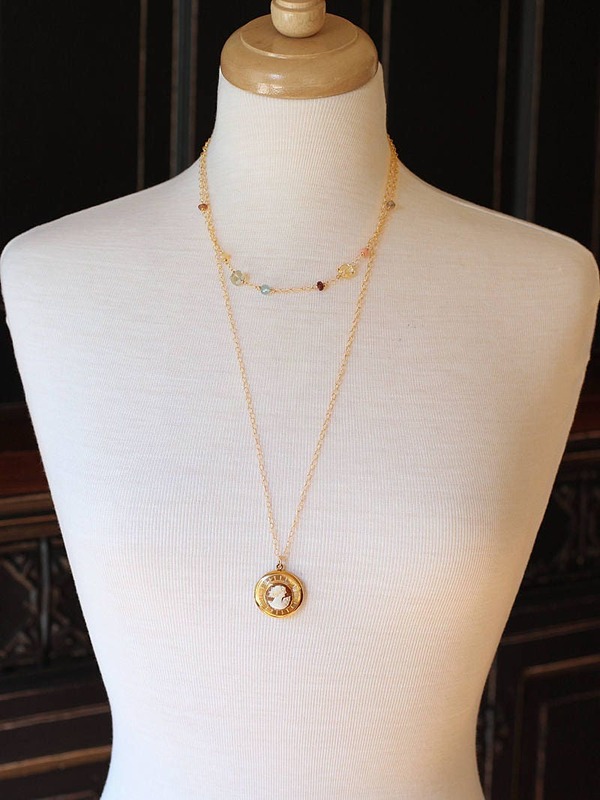 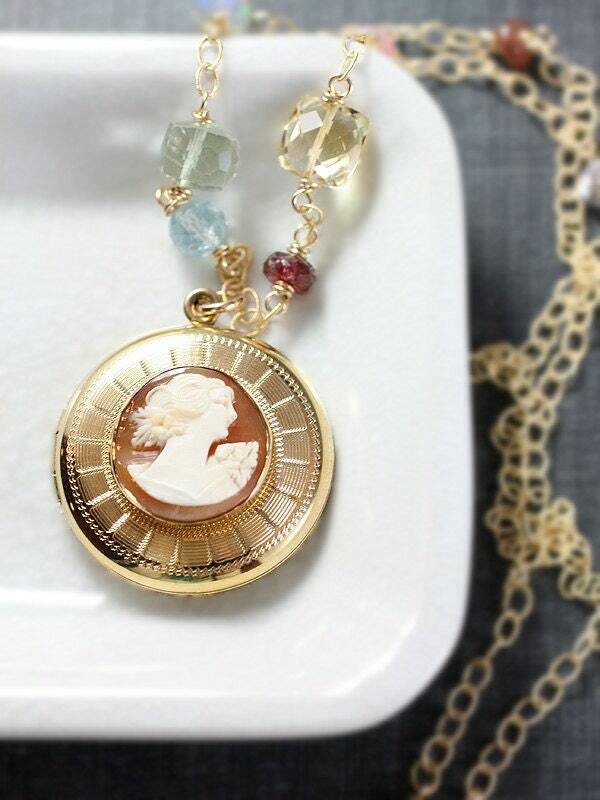 A gorgeous, rare Bates & Bacon locket is set with a stunning cameo framed in accent engraving. 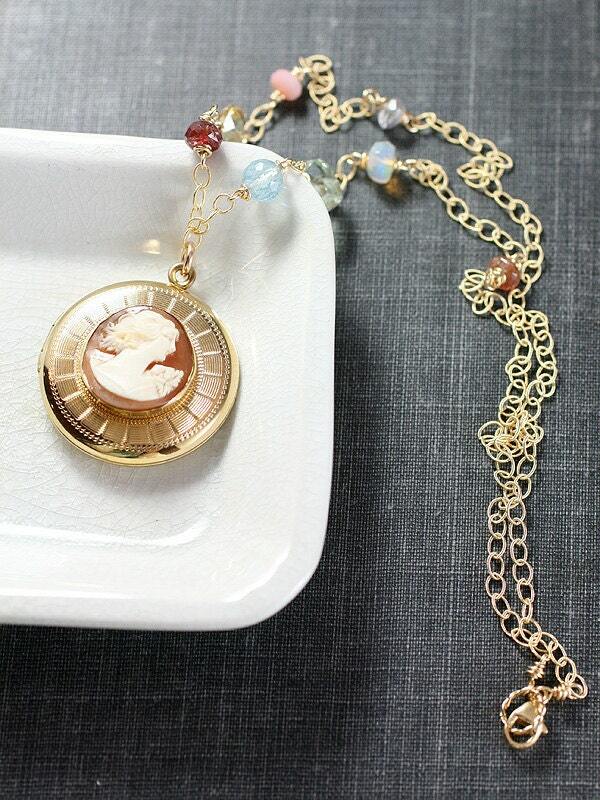 The vintage locket opens to reveal one removable frame waiting to hold your beloved photograph. 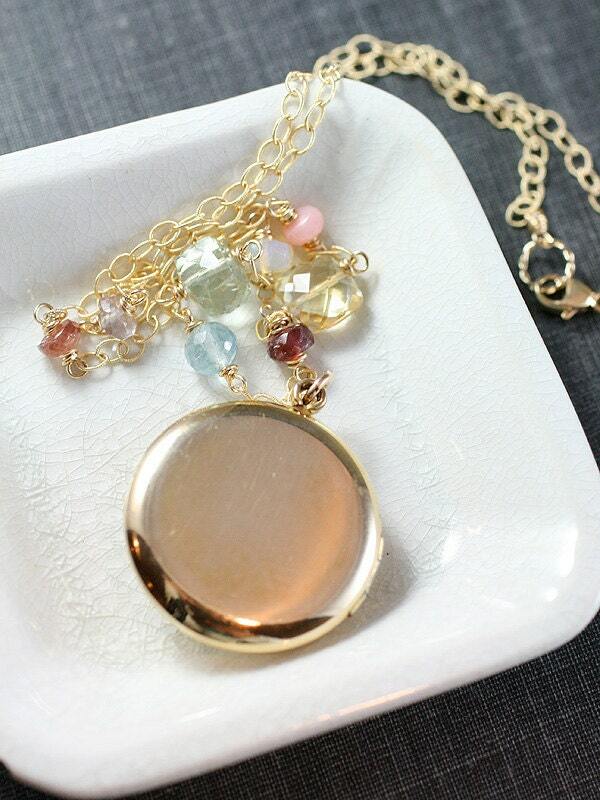 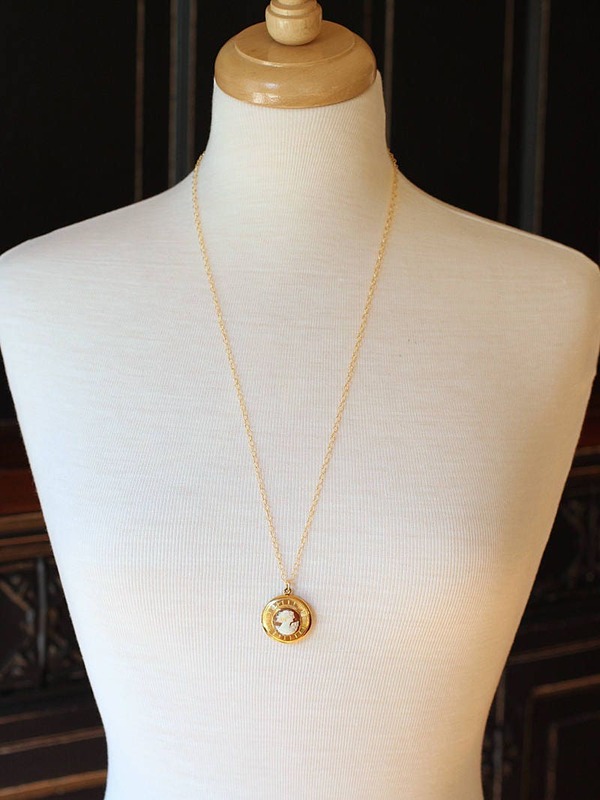 You may purchase the locket on your choice of chain. 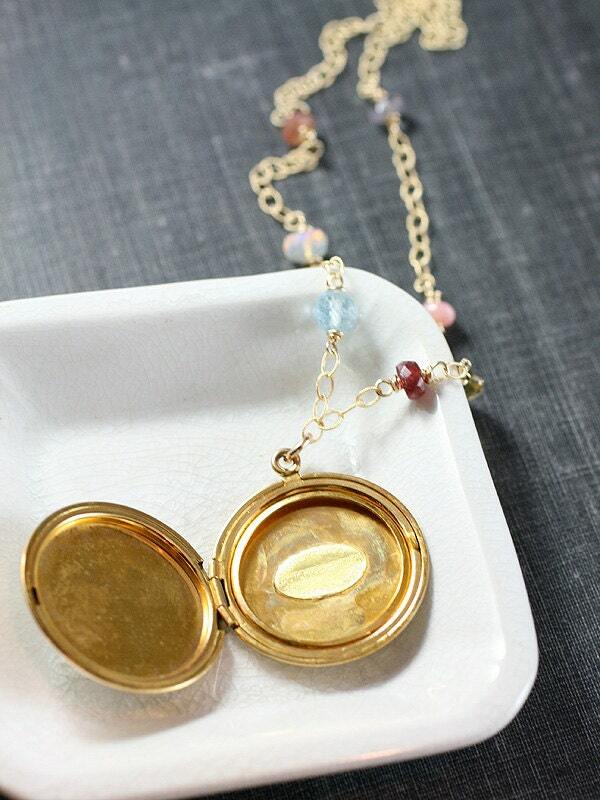 You may purchase the locket on your choice of chain. 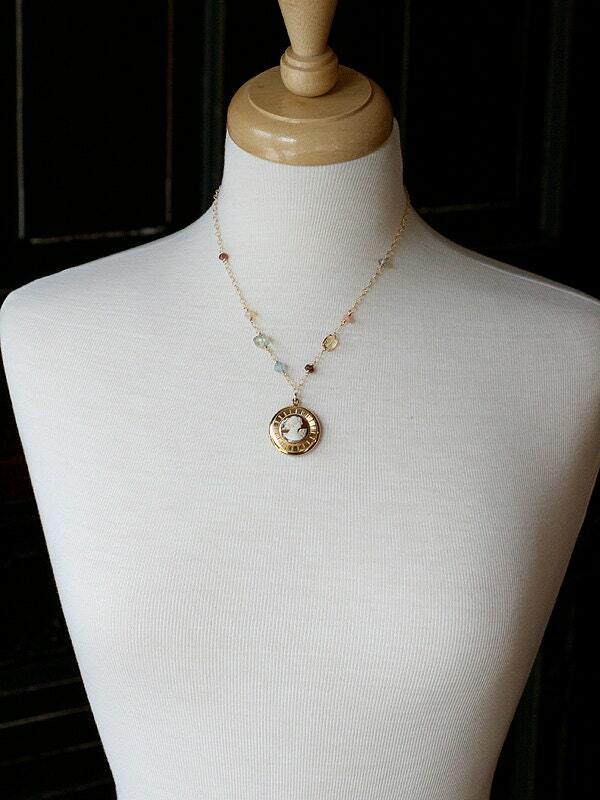 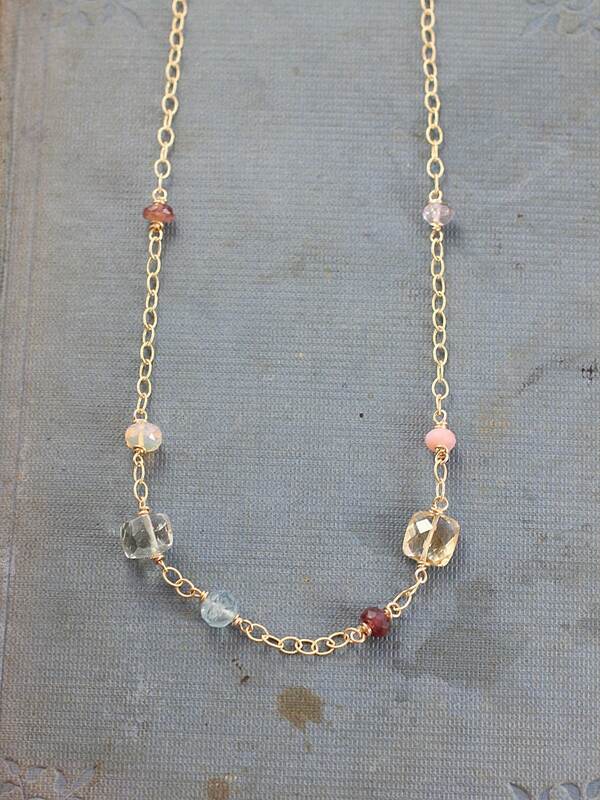 The gemstone chain includes spinel, green amethyst, aquamarine, opal, and citrine. 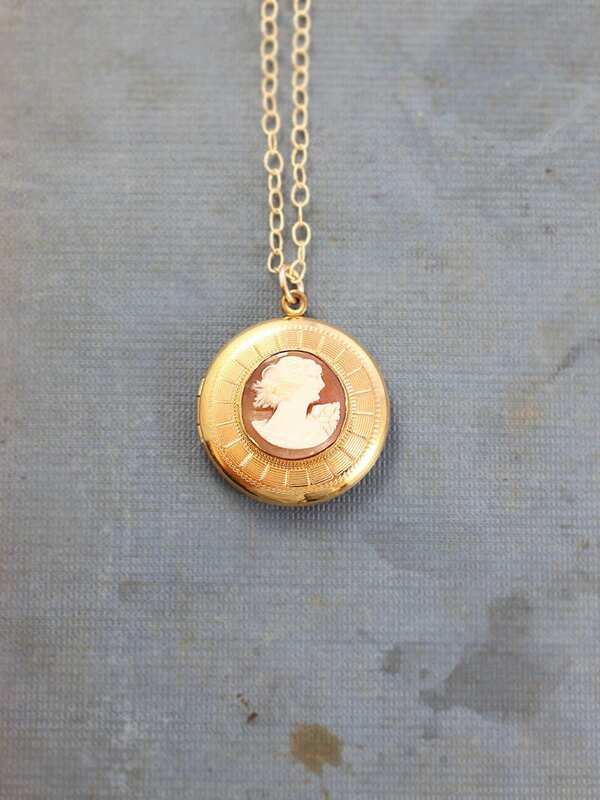 Signed: "Bates & Bacon 1/20 10K Gold Filled Attleboro, Mass"